Cut dynamic sections along standard and custom planes. Create multiple sections. 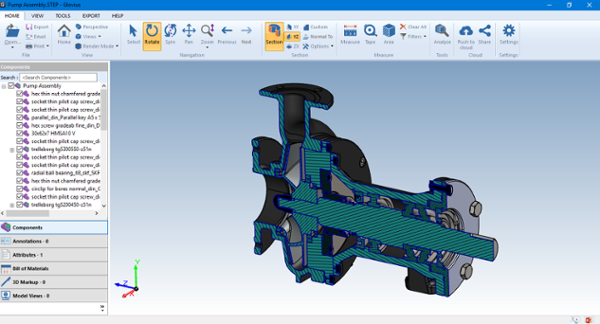 Add section hatching for enhanced visibility in assemblies. Exclude components from sectioning using the “Exclude from section” option in the right click menu. This helps in performing assembly integration analysis in Glovius. 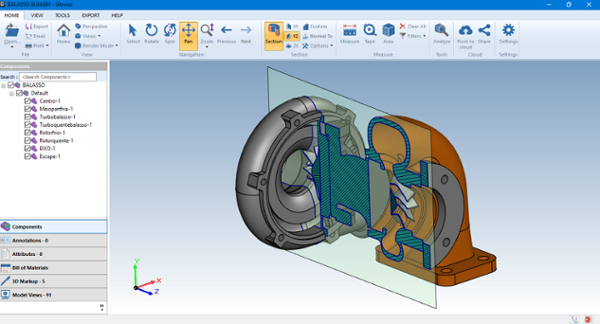 Automatic hatching of CAD Components while Sectioning in Glovius.